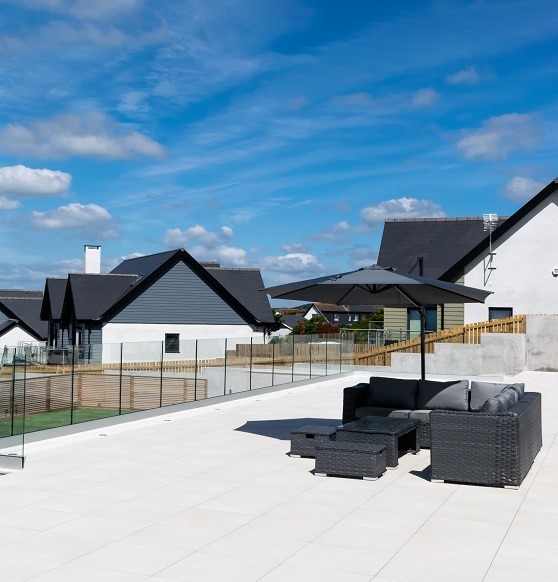 The owner of a spectacular detached home in the Vale of Glamorgan (not far from Wales’s southern coastline) was in the process of refurbishing his property, and as part of this overhaul, he decided to add a raised patio to his back garden. After visiting our nearby Cardiff showroom, this customer took home a sample of PrimaPorcelain’s 20mm thick Sandstone White paving. 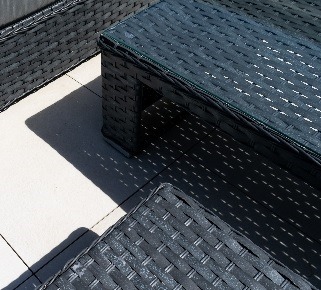 He eventually decided that our high-endurance, low-maintenance porcelain would be the perfect fit for his new patio, and he proceeded to order 250 square metres of paving slabs. Watch this stunning drone video to get a better idea of how this customer's beautiful new patio looks. Doesn't our Sandstone White paving look just splendid? This footage features a great view of the porcelain-paved steps that run from the patio down to the lawn below. You can also see the sun loungers and the other pieces of outdoor furniture that the customer used to create his dream outdoor space. All in all, we're exceptionally proud of this project, and we think it's easy to see why! Now that it’s finished, this customer’s resplendent raised patio truly is a sight to behold. PrimaPorcelain’s Sandstone White slabs give the area a bright, attractive appearance, and they’ve been installed to perfection using our cement-free pedestal supports. 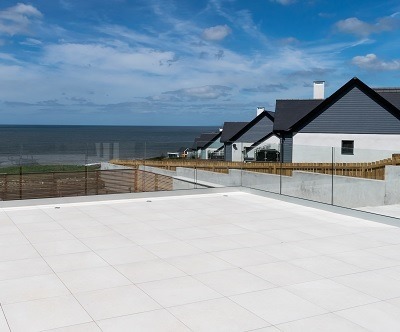 Porcelain-paved steps lead down to a verdant green lawn, and our frameless glass balustrade provides the perfect finishing touch without spoiling this property’s jaw-dropping sea view. 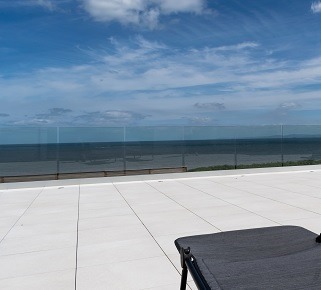 Could our porcelain paving be a good fit for your own patio? Order up to 3 free samples here.